This coming Saturday (June 11), there will be an exhibition of my photos that show a darker side of downtown Manhattan. Hawk and other bird prints will also be on display. 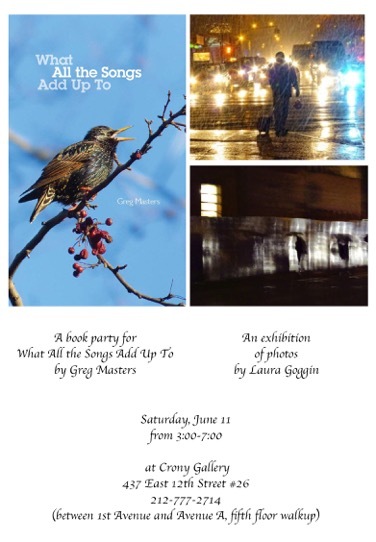 This event is also a party for New York poet and writer, Greg Masters, whose latest book is comprised of East Village poems spanning the last forty years. For anyone who cannot make it on Saturday, there will be additional open hours on Wednesday, June 15, 7-9pm.